And Other Concrete Products - At Wholesale Prices! 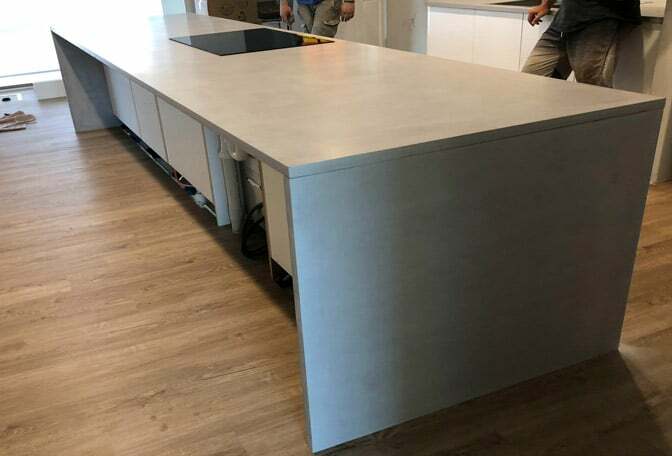 We create your dream concrete benchtop - at a fraction of the price! 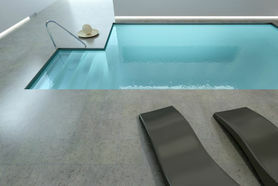 Create a modern, sophisticated looking pool with concrete. We can make custom furniture for inside and outside the house. Cut Out the Middle Man & Buy Wholesale Direct from the Factory! 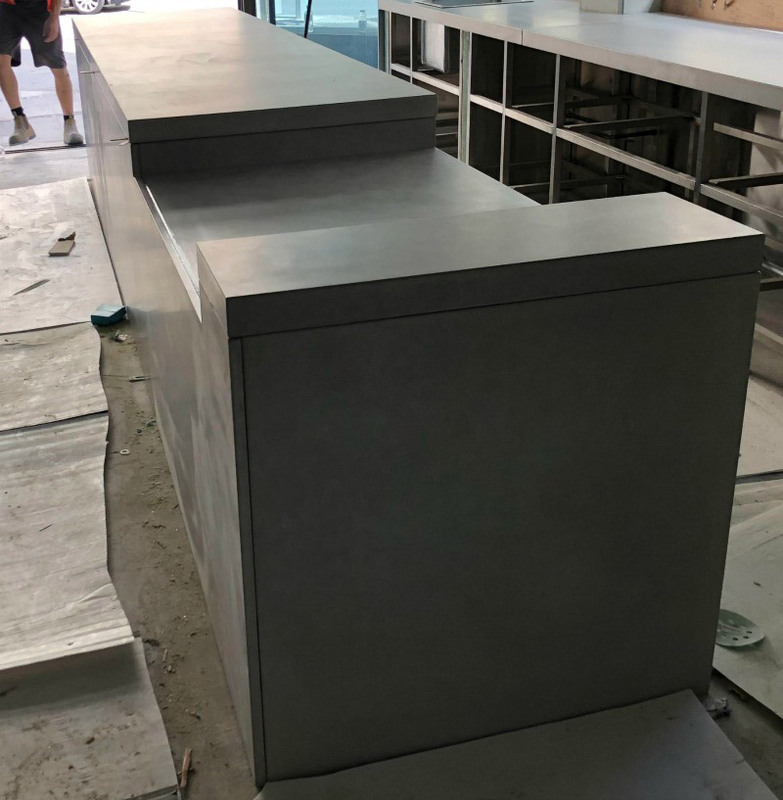 Concrete Benchtops - For a pre-made or custom design for your house or development, we have Australia's finest range of custom concrete benchtops. Concrete Floors - We pride our selves on producing the best floors in Australia. Any design, any size. Concrete Pools - We design and manufacture the highest quality pools from the highest grade products. 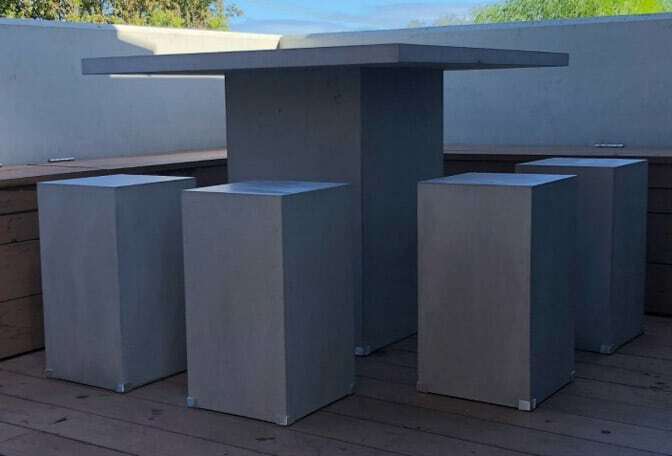 Concrete Furniture - We stock pre-made furniture or we can custom design anything for in or outside the home. Concrete Retaining Wall - We can design and make all all types of retaining walls. Concrete Tiles & Pavers - We cater for your tiling and paving needs. Some of our biggest clients are from all around Australia; including Perth, Adelaide, Brisbane, Sydney, Melbourne, Gold Coast, Hobart and Darwin. Concrete Steps - We design and create some of the most elegant staircases at a cost effective price. 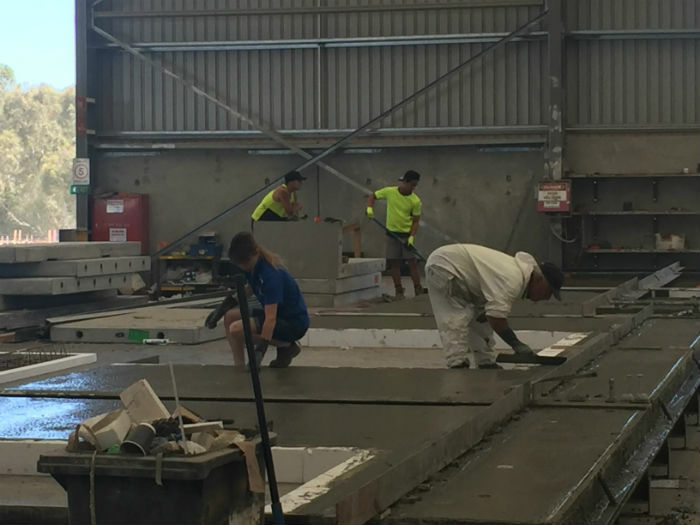 Concrete Slabs - We are proud to have provided slabs to some of the most beautiful buildings in Perth, Melbourne, Sydney and Brisbane. Manufactured concrete products have many potential applications in homes. 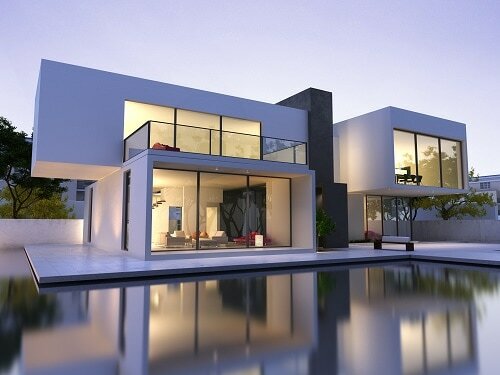 They're suitable for exterior and interior uses alike. If you're looking for a reputable company that can accommodate any and all of your specific manufactured requirements, that's Concrete Crib in a nutshell. We specialise in customised concrete products of all varieties here. 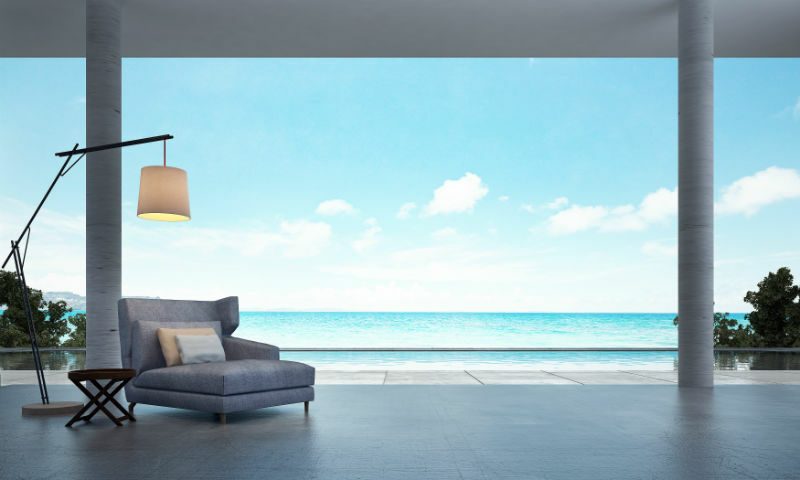 If you're looking for the perfect product for your residence, you can trust our skilled team with complete confidence. Why? We go above and beyond to offer products that are perfectly in line with our customers' specific preferences and wishes. We approach the design and creation processes with great care and dedication as well. We can help you create a concrete product that's the exact size you need. We pay close attention to our customers' measurement details. Our priority at Concrete Crib and our sister company DecorativeConcreteWA.com.au is to open our customers up to a whole world of beautifully designed pieces for your home or business. Our firm isn't only an excellent option for customers who are in need of the finest manufactured concrete products, either. We're also a great choice for people who want to purchase high-quality structural precast slabs. These slabs are suitable for many diverse needs. Concrete slabs are structural components that are often big parts of contemporary buildings. We give our customers access to a wide range of structural precast concrete slabs. It doesn't matter if you're looking for a narrow slab, either. It doesn't matter if you're searching for a thicker one, either. We focus on precast concrete slabs of all varieties. Our options in custom concrete products truly run the gamut. We make all of our customers' dreams come true. If you want to explore a world of concrete retaining walls, pools, steps, concrete benchtops and polished tiles, we can accommodate you 110 percent. 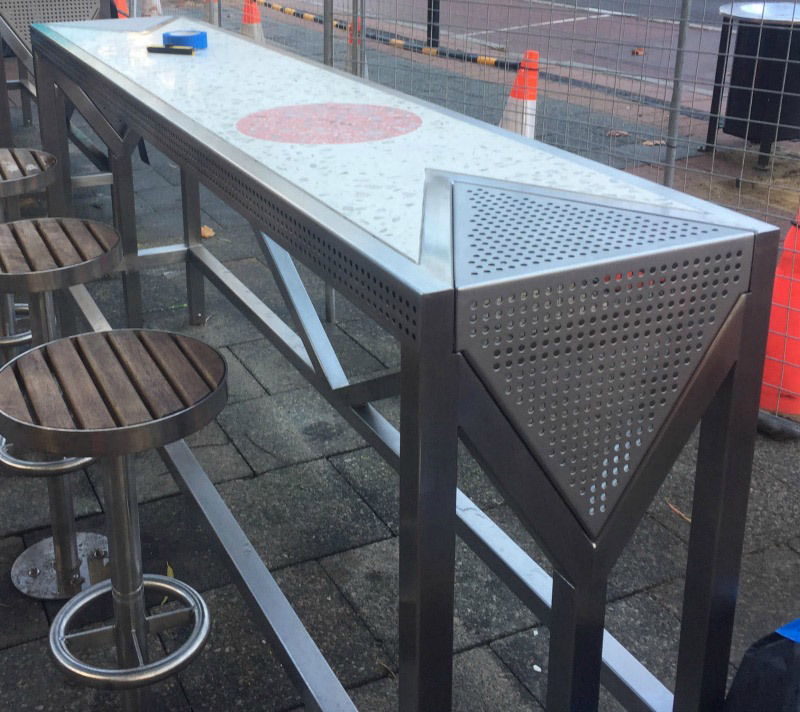 If you want to learn about all your exciting options in concrete furnishings, tables, polished steps and bubble decks, we can accommodate you just as well. Polished concrete can sometimes be quite inexpensive. That's never the situation here at Concrete Crib, however. That's simply because we're a business that understands the extraordinary value of pleasing our loyal customer base. That's why we offer them prices that are unsurpassed. If you're interested in first-rate craftsmanship and in prices that are budget-friendly, no other choice tops Concrete Crib. Our staff members are fully committed to excellence. If you want to get your hands on manufactured products that never sacrifice superb quality, Concrete Crib is the answer you need. We have an on-site engineer on our staff who can provide you with the thorough and meticulous design work you deserve. Our employees all work as a unit to give our customer base the best and most diverse choices in manufactured products available. 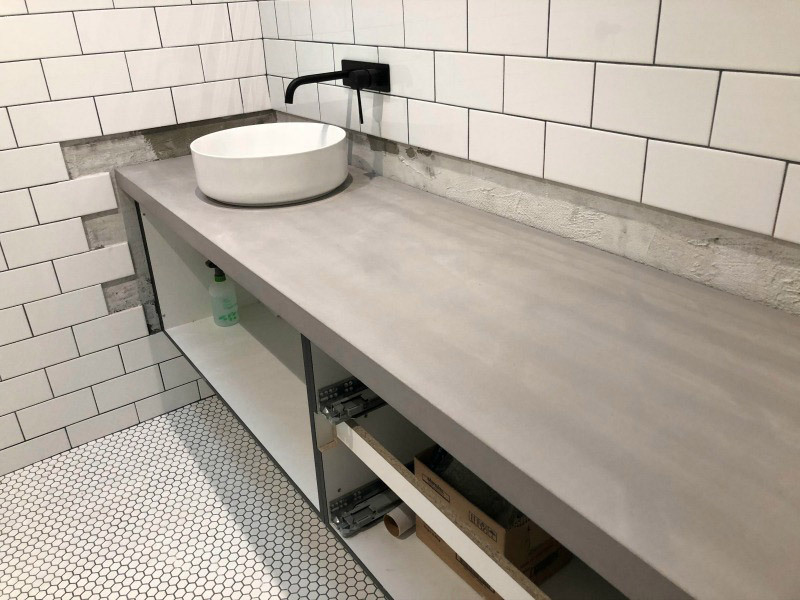 We can provide you with polished concrete benchtops that have minimal maintenance requirements. We make concrete bench tops that are the epitome of sturdy, strong and visually appealing. They're suitable for a vast array of uses as well. You can use them in your kitchen. You can use them alongside sinks, islands and vanity tops. You can even use them in outdoor kitchens that are open and airy. Our concrete benches are more than just convenient, too. They're also invulnerable to unsightly stains. 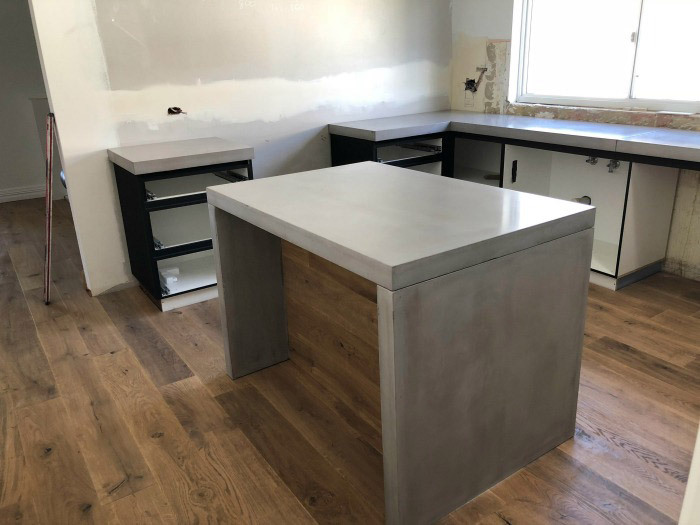 People who want to invest in benchtops that are resilient and tough and that can remain in impeccable condition for a long time should look no further than Concrete Crib. The more info we have about your project, the more accurately we can quote. We specialise in polished concrete floors that can infuse residential spaces of all types with extra vitality and warmth. Our concrete floors are more than just tough and strong, too. They can also bring sophistication into the mix. These floors can blend in seamlessly in all kinds of homes. 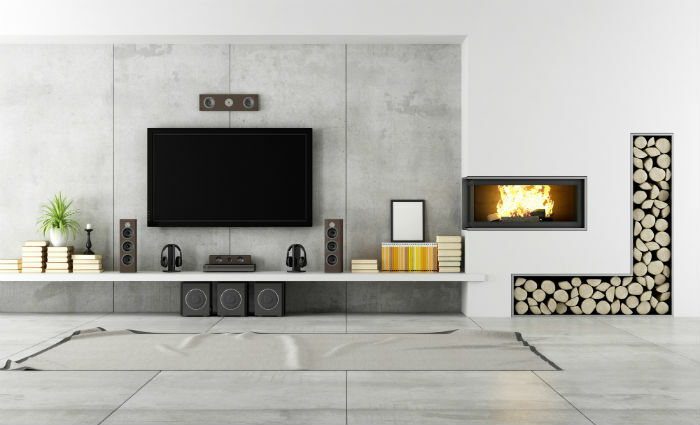 If you're looking for concrete flooring that's a good match for a modern and contemporary living room, Concrete Crib can accommodate you completely. If you're searching for concrete flooring that will work beautifully in a design scheme that's more classic and traditional, we can accommodate you fully as well. Don't forget our customised concrete pools, either. If you love the idea of hosting outdoor parties during the summer months, you can't go wrong with our amazing concrete swimming pools. We create concrete pools that are strong and durable. We employ only the finest and most modern supplies and equipment during the process, too. Great craftsmanship is so important to our industrious team. We put a lot of time, thought and dedication into every project we tackle. If you're looking for top-quality manufactured concrete products of all kinds, you need to put your attention on Concrete Crib right now. We're the local leader in all things that involve manufactured concrete products. Contact our reputable business as soon as possible to learn more about what we can do for you. We strive day in and day out to do terrific work for our customers. Precast concrete can be beneficial to your property in so many ways. It can make a sturdy and resilient wall or flooring option. It can be great for roofing purposes. You can find precast concrete in all types of structures these days. It's a typical sight in large apartment buildings. It's a typical sight in small single homes as well. People appreciate precast concrete for a wealth of valid reasons. As long as it'c concrete, we can do it! This concrete can make for efficient and hassle-free construction processes. 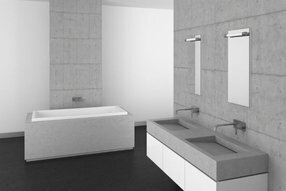 It boasts significant thermal mass and therefore can help reduce energy costs considerably. Precast concrete is extremely flexible. It's available in a wide range of shapes and forms. It even offers invaluable acoustic and thermal comfort perks. 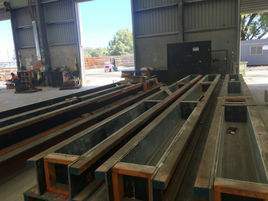 If you like the idea of optimal strength and strong fire and flood resistance, you'll quickly fall in love with our customised structural precast concrete slabs. © Copyright 2019 Concrete Crib. All Rights Reserved.